We have traditional etching inks oil. The viscosity of lifetime in inks for printing in sizes 60 ml., 200 ml, 400 ml. and 1 kg. and best brands! 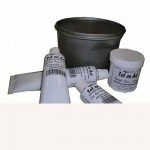 Ink Tot en Art Softer cream, pot 100 gr. Ink Tot en Art Black, pot 100 ml. Ink Tot en Art Transparent Base, pot 100 ml. Ink Tot en Art Primary Red, pot 100 ml. Ink Tot en Art Primary Yellow, pot 100 ml. Ink Tot en Art Primary Blue, pot 100 ml. Ink Tot en Art Hiding White, pot 150 gr. Charbonnel Etching Inkn Black Doux good flexibility, 60 ml. Charbonnel Etching Ink Yellow Ochre, 60 ml. Charbonnel Etching Inkn Black 58995, 60 ml. Charbonnel Etching Ink Payne Gray, 60 ml. Charbonnel Etching Ink Red Ochre, 60 ml. Ink Tot en Art Sepia, pot 100 ml. Charbonnel Etching Ink Burnt Umber, 60 ml. Charbonnel Etching Ink Raw Sepia, 60 ml. Charbonnel Etching Inkn Snow White TI, Titanium Pure, 60 ml. Charbonnel Etching Ink Cobalt Blue (imit. ), 60 ml. Charbonnel Etching Ink Burnt Siena, 60 ml. Charbonnel Etching Carbon Black, 60 ml. Charbonnel Etching Ink Turquoise Blue, 60 ml. Charbonnel Etching Ink Sanguine, 60 ml. Charbonnel Etching Ink Basic Bistre, 60 ml. Charbonnel Etching Inkn Snow White RS, Opaque Zinc, 60 ml. Charbonnel Etching Ink Cerulean Blue, 60 ml.